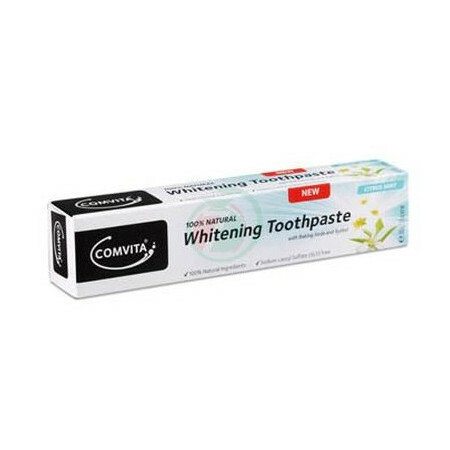 This all natural, whitening toothpaste from Comvita looks and feels like a traditional toothpaste and has a great minty taste. It uses birch tree extracts and baking soda to gently help whiten teeth and remove stains without bleaching or harsh abrasives. It contains peppermint and spearmint leaf to help maintain healthy gums and freshen the breath. Made in New Zealand. 100% Natural. SLS and Fluoride free. Not tested on animals. 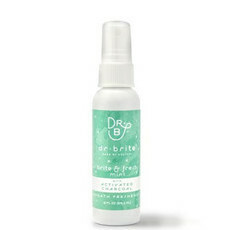 Peppermint, Spearmint Oil, Sweet Orange. Out of stock. Get notified by email when this option is back in stock. 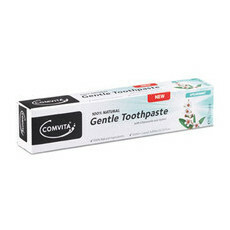 I was really looking for a natural toothpaste and tried this one first but am not convinced. Smelled fine and easily foamed up, just wasn't at all whitening so wouldn't bother getting this one again.